This rare piece of furniture is imported direct from Italy. The large entertainment center is constructed entirely of walnut hardwood. The piece has intricate wood carving throughout and regal gold accenting. 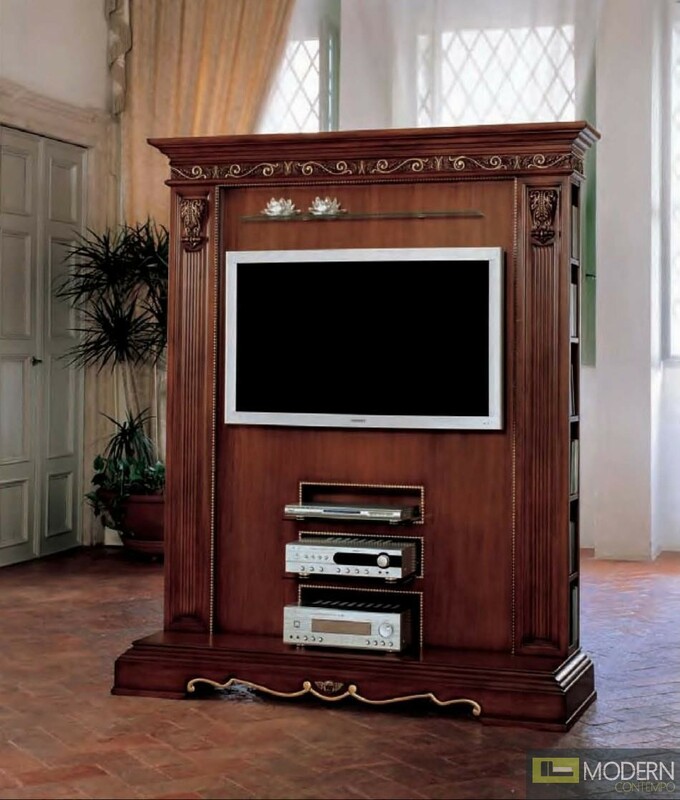 This entertainment center was absolutely made with neo-classical European style in mind. W61.8" x D22.4" x H79.9"